FRESH RESULT device with geological and long-range system, The first detector in the world to detect underground water. 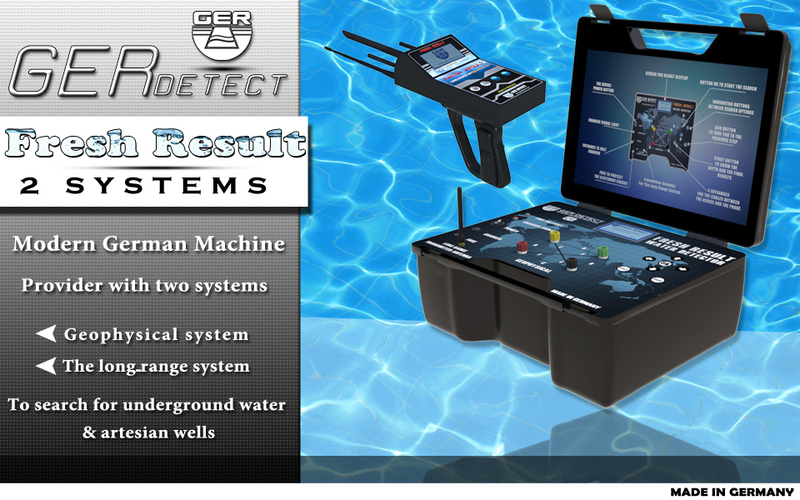 Proudly offers you GER DETECT company world-latest technology specifications and high-resolution techniques and discrimination, FRESH RESULT device with geological systems and long-range system. 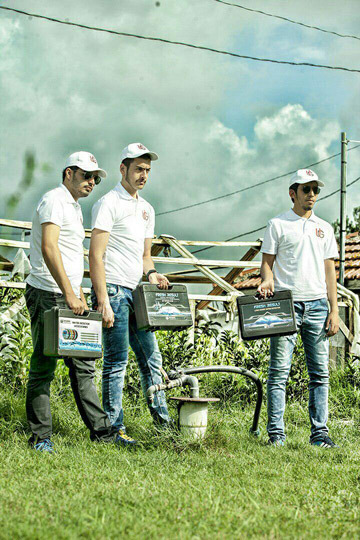 Device depth of up to 1200 meters under the ground and front range 2,000 meters, with the possibility of very accurate and depth water type select whether (fresh - salty - natural) FRESH RESULT device of modern technology to detect water sources and identified under the ground. This high-resolution system and excellence determine water location from a distance. When capturing the target the user can be moving to discovered target until stand up on the target completely, confined to an area of 1 square meter, and with the ability to determine the front range of the device starting from 500 meters or 1000 or 1500 or 2000 meters and a depth of 1200 meters under the ground. The device works in four languages (German - English - French - Arabic). When the device is running, you can choose one of the languages and determine the front range. When capturing the target, the device will head to the detected target, the user can be walking up to reach the target and completely confined in area of square meters, identify the depth the by meter, and centimeter. Scan all layers of the ground to a depth of 1200 meters and show the results find on the LCD screen of the device shows of the water density and the type of water that was ( fresh - salty - Natural ) ,shows the beginning ,end of the water depth by meter and centimeter. 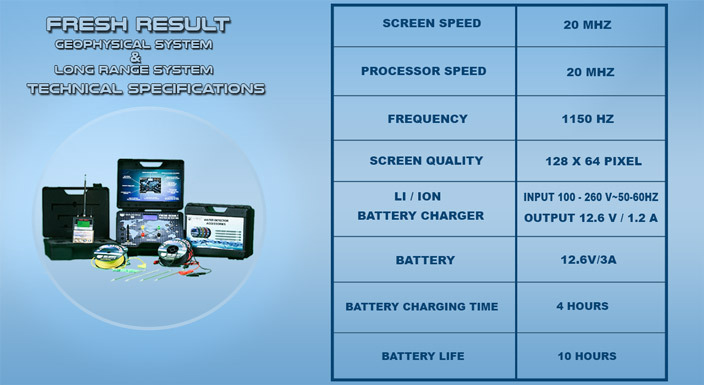 LCD screen to show full search data . Full weight of the device with accessories only (9 kg) .